1.In large bowl, stir mayonnaise, sour cream, lemon juice, dill, lemon zest and hot sauce. Fold in shrimp, celery, cucumber and onion. Makes about 4 cups. 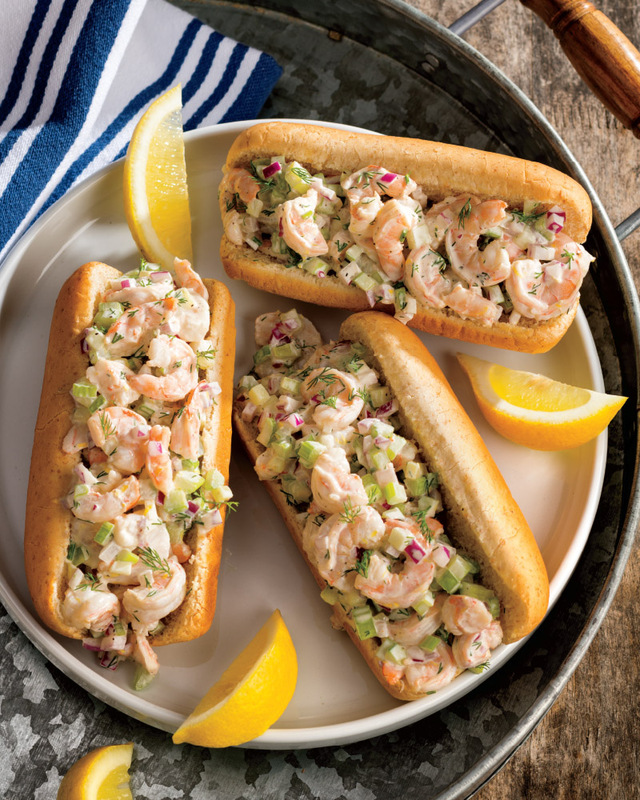 Evenly divide shrimp salad between rolls. > Use lettuce wraps in place of hot dog buns for a lower carbohydrate option.